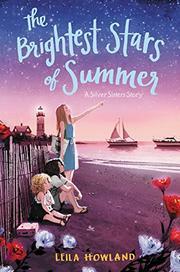 The Silver sisters are back on Cape Cod for another satisfying summer adventure in this sequel to The Forget-Me-Not Summer (2015). When aspiring actress Marigold's bit part in a movie is cut after she has bragged to her seventh-grade classmates, she shuns acting, commits to being merely ordinary, and lobbies her parents to send the three sisters to Pruet, Massachusetts, earlier than planned to help with Aunt Sunny’s wedding preparations. Told in the alternating third-person voices of Marigold and Zinnie, and including little sister, Lily, this charming story touches on issues ranging from angst-ridden first crushes to sister crimes. Zinnie, hoping to be accepted into her school’s writers group, sneaks Marigold’s diary, using its contents as her submission, which leads to a brawl and the crushing of the multitiered wedding cake. All is resolved neatly in this often humorous yet thoughtful sister story. Howland nicely captures the bewilderment of young girls as they begin to mature. The girls learn the importance of being true to themselves, of helping others, and of friends and sisters. Background from the first book is interwoven aptly, allowing the sequel to stand alone; the sisters are white.